Since brands began their “invasion” (we all know consumers felt this way at times) of Instagram, digital marketers have been feeling the pain. 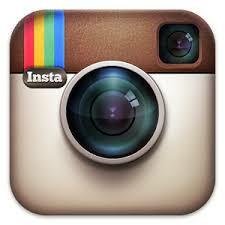 There is no way to post seamlessly through the Instagram platform for multiple accounts. It’s led many down the path of testing third party apps, and many particularly into frustration. And typically both. Now with the announcement of android multi-user beta testing in play, it could be a whole new playing field. What does this mean? Ease of handling multiple accounts. This doesn’t just mean personal and professional (but it does for many of us). It also means for agency and multi-brand folks, the ability to jump from one product line to the next without having to log out. Assuming this allows for multi-login alerts at the same time, it would provide marketers with easier listening and in turn engagement with the target market. Saving hashtags, because when you logout, you lose the ability to auto-fill your most recently used hashtags. But for now we wait. We wait for the beta test to expand to iPhone and to all Instagram users (rather than just beta testers). We wait for Instagram to give us what we’ve been hoping for … for far too long.